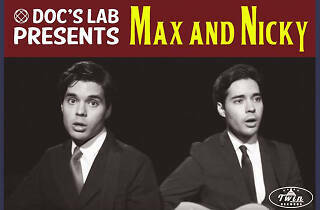 Travel back in time with bon vivant brothers Max and Nicky Weinbach, performing oldies faves for a dance party at Doc’s Lab. 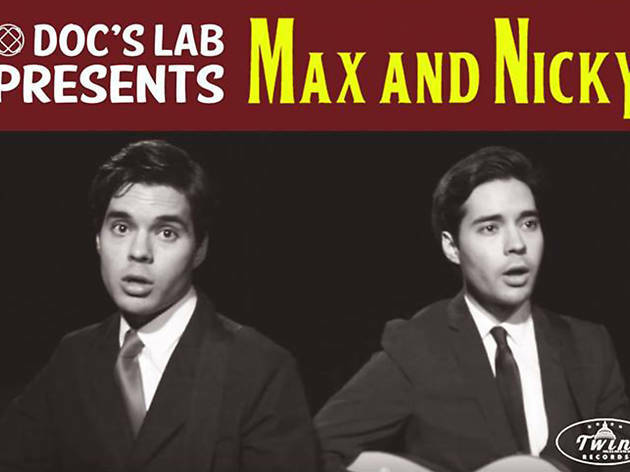 Talented comics and musicians, the twins are celebrating their impending move to New York with a sock hop, complete with root beer floats and that certain je ne sais quoi only a basement venue can provide. Let’s twinst again!